A decade after his tragic death, legendary steep skier Doug Coombs’ legacy lives on. And not just in his hundreds of first ski descents, his membership in the U.S. Ski Hall of Fame, his pioneering contributions to the sport of heli-skiing, or even his hometown popularity—he remains beloved in Jackson Hole, where he and his family lived part-time. Instead, 10 years following his death in an accident in La Grave, France, Coombs—whose 60th birthday would have been on September 24—and his passionate spirit are celebrated every day in the Jackson Hole community thanks to the Doug Coombs Foundation. Founded in 2012 by his wife, Emily, the nonprofit organization creates opportunities for kids from low-income families in the Jackson Hole area to learn to ski. Emily discovered a need for such an organization when her and Doug’s son, David, was in grade school, active in sports and skiing. She noticed that, despite the town’s large Latino population, almost none of David’s soccer teammates were Latino. Then, one day, he told her it made him sad that he couldn’t hit the slopes with any of his friends, since none of them skied. “That was my wake-up call,” Emily says. As she explains, many low-income families in Jackson Hole are immigrants who work jobs supporting the ski industry, but beyond work, skiing isn’t part of their everyday life. The Doug Coombs Foundation aims to change that. Since its first year, the foundation has flourished, growing from 28 students who enrolled in ski school to 180 during the 2016-2017 season. This season, with additional staff to help Emily manage programming (she’s largely run things single-handedly since that inaugural season), the foundation will keep growing. Marmot has played a huge role in the foundation’s inception and success; in fact, each season culminates in the Marmot-Coombs Classic at Jackson Hole Mountain Resort, a springtime celebration that, according to the resort’s website, encourages participants to “finish off the year strong—just like Doug.” Marmot has sponsored Doug and Emily since the 1990s, when both were extreme skiers globetrotting the world in search of their next adventure. After Doug’s death in 2006, Marmot continued to support Emily’s endeavors. “When I started the foundation, they wanted to help in any way they could,” she says. 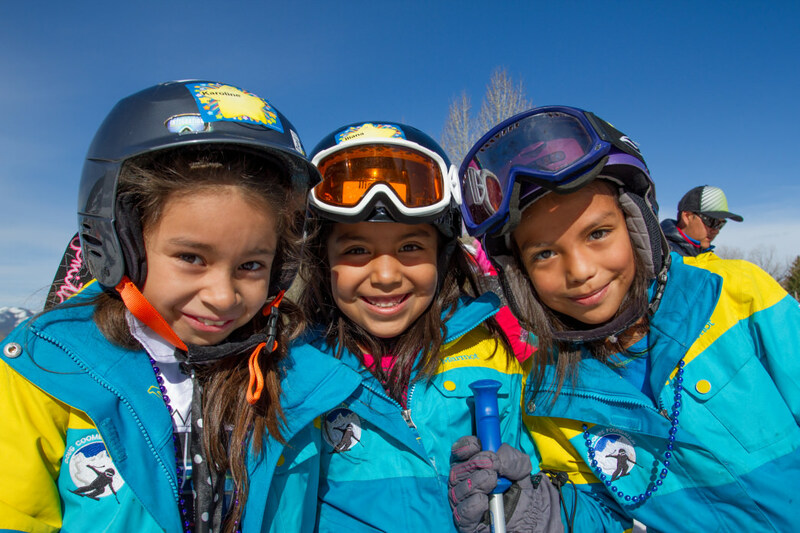 Marmot began providing high-quality ski jackets to kids in the program. Participating children keep the jackets at the end of the ski season, then swap them out for a bigger size when they outgrow them. The Foundation accepts as many students as possible every year, with a focus on accepting participants from low-income families. Emily and the Foundation’s new executive director, Mary Ericksen, say one of their primary enrollment goals is not to turn anyone away. After they’re accepted, the Foundation then enrolls children in ski school at Snow King, the local ski hill in Jackson Hole, where they ski a couple of days a week during the winter. Some end up being really incredible skiers within a couple of seasons—but, as organizers note, that’s not really the point. It’s also important to make sure kids are having fun. The Foundation’s programming doesn’t end when the snow begins to melt. During the summer, Emily and other staff members lead hikes. And local guide outfitter Exum Mountain Guides, for whom Doug, a certified IFMGA mountain guide, worked for a number of years, takes kids on rock climbing outings in nearby Grand Teton National Park in the warmer months. Just as important as the programming is the outreach the Doug Coombs Foundation provides to families, many of whom aren’t familiar with seemingly high-risk sports like skiing and rock climbing. The Foundation works with Snow King and local gear shops to provide discounted lift tickets and rentals to family members of students, and last season, several parents and older siblings tried skiing, too. 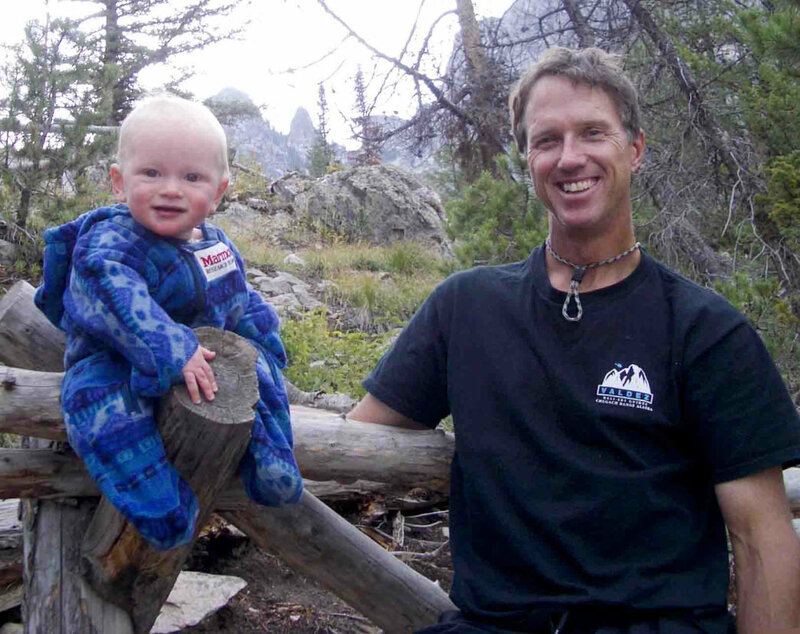 One parent even made an ascent of 13,755-foot Grand Teton. The Foundation also hopes it can serve as a model for similar programs in other mountain towns. In the meantime, however, Jackson Hole’s up-and-coming athletes are upholding the Coombs legacy every time they hit the slopes.